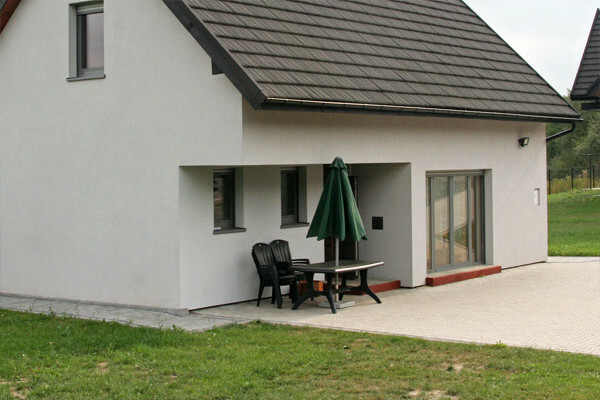 Our modern holiday cottage is situated in the picturesque location of Raba Niżna, a village on the border between Beskid Wyspowy and the Gorce Mountains. 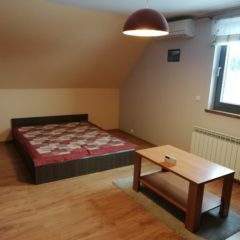 It’s the perfect place to have a good time in a comfortable environment and is a very good base for walks in the surrounding mountains, bicycle tours or winter sports. 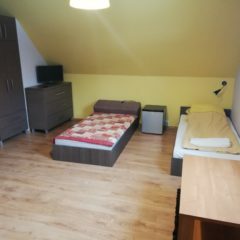 The house is just a few kilometers from Rabka-Zdrój, an up and coming spa town with an even richer range of activities for families with children. 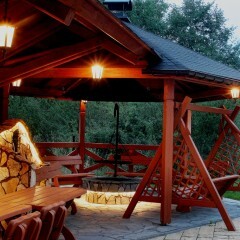 – Outside the house is a terrace with a table and a large garden. 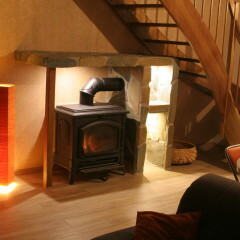 All of the rooms offer scenic views of the mountains and the garden. All windows have electric blinds. 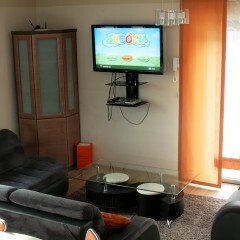 Each room is equipped with an electric kettle, fridge and TV. 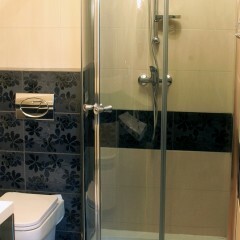 Bed linen and towels are avaiable. 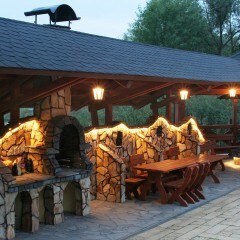 The house offers guests a covered barbecue area with tables and benches, barbecue facilities and a ski storage. The entire area along with the free parking for guests is fenced and monitored. We provide unlimited, free access to Wi-Fi. On site and in the surrounding area you’ll find favorable conditions for various forms of active recreation. – Śnieżnica in Kasina Wielka – 13 km. Near our house is a grocery store and bus stop from where buses run regularly to Rabka-Zdrój and Mszana Dolna. 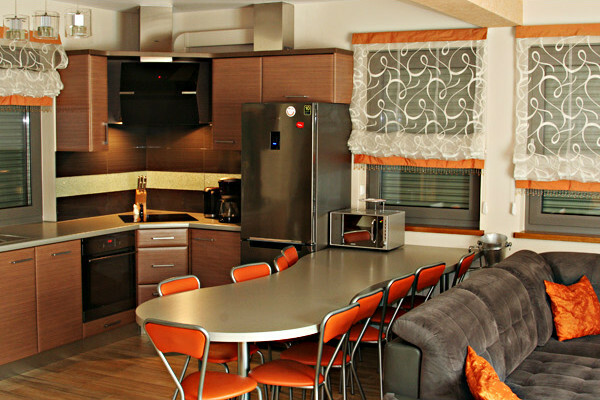 Modern and functional interior together with the equipment creates the ideal conditions for rest or work in the heart of the Beskidy Mountains. 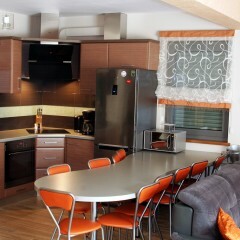 A fully equipped kitchenette with table for eleven people, fridge, induction kitchen, dishwasher, oven, coffee maker, toaster, microwave and washing machine. 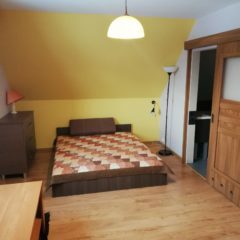 The Yellow Room with individual bathroom is equipped with a double sofa bed, two single beds, table, kettle, fridge, air condition, TV and Wi-Fi. 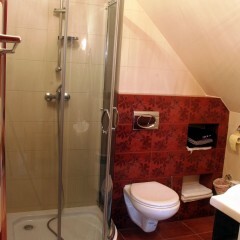 The Red Room with individual bathroom is equipped with a double sofa bed, two single bed, table, kettle, fridge, air condition, TV, and Wi-Fi. 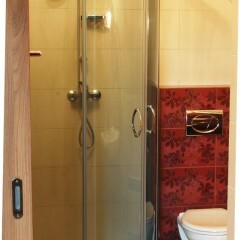 The spacious and comfortable bathroom on the ground floor is equipped with a bathtub, sink and shower with sauna function. 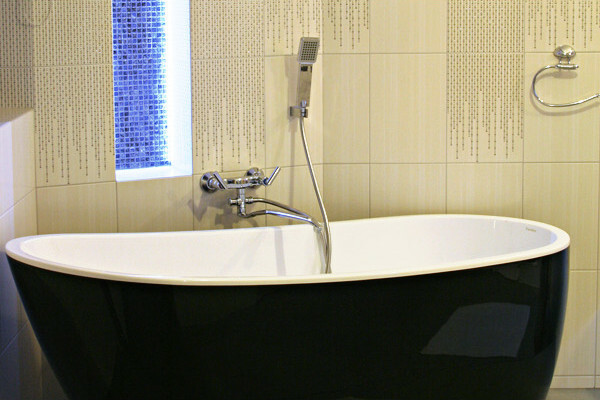 Heated flooring provides comfort and convenience. 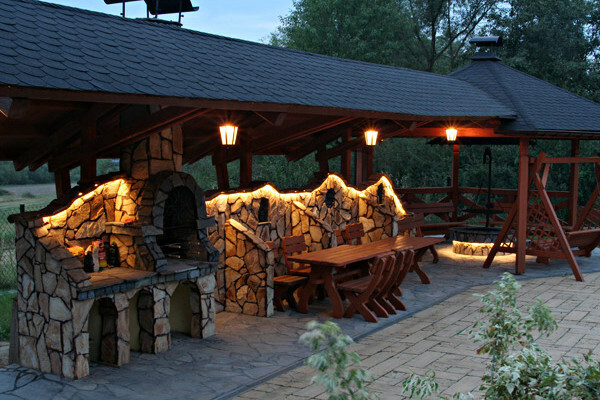 Beautiful and functional grill with shelter, benches and tables for guests. The terrace is furnished with garden table and chairs allowing you to enjoy the outdoors. Check-in starts from 14.00 on the day of arrival and ends at 12:00 the next day. There is a possibility of early/late arrival/departure by prior arrangement. 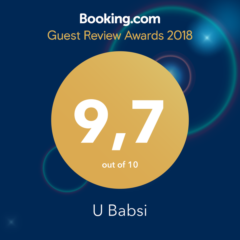 If you stay more than 7 days we offer 10% discount from the total amount for the stay. If you stay for one night a surcharge of 50% of the hotel day price. Was established in 1981. 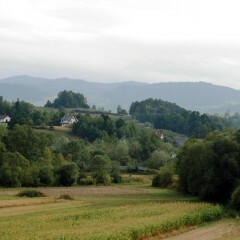 It includes the central and north-east parts of the Gorce Range. The total cover of the GNP is 7,030 hectares and roughly a half of this area is under a strict nature conservation regime. GNP protects not only the Gorce Range’s nature but also a rich cultural heritage. The Carpathian forest is the most important treasure in the GNP. Lower elevations are covered with mixed forest called the Carpathian Beech Forest. It is only slightly affected by human activities in the past. The highest elevations are occupied by sub-alpine spruce forests. The forest dynamics is mostly of natural character – trees get old then die giving place for new generations of woody vegetation. The glades spread out among comprehensive forest cover enrich the Gorce’s biodiversity and elevate its landscape values. 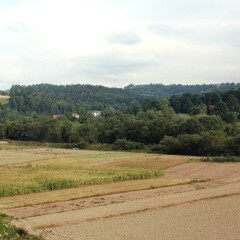 The glades along with regional Zagórze or Podhale type woody huts are remnants of the traditional pastoral activities in this area. A wandering lengthwise Gorce tourist trails is very attractive since one may watch even other ranges, especially the Tatra Mountains. Island Beskids is part of the Western Beskid Mountains, located between the valley of the Raba and Sądecka Basin in the province of Malopolska. A characteristic feature of this region is the presence of isolated, individual peaks, from which derives its name. It covers an area of about one thousand square kilometers. Beskid Wyspowy offers more than 500 km trails for hiking. Action discovering The Carpathians, a program organized hikes to the most beautiful hiking trails. The routes are chosen so as to be able to benefit from the migration of families with children and people who have this type of vacation treat purely amateur. Hiking begin a short distance from our house, so heartily recommend this form of recreation. 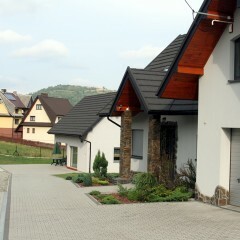 Official web page Odkryj Beskid Wyspowy. 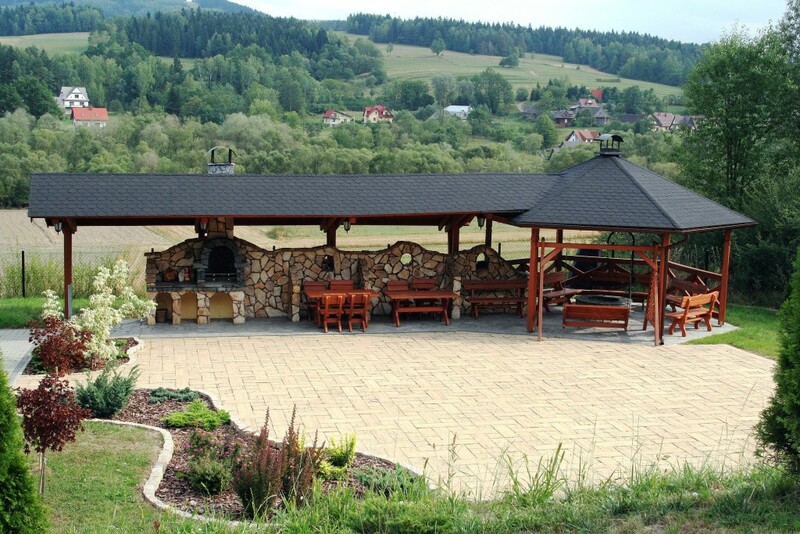 Mszana Dolna is beautifully situated amongst the Beskidy Mountains and Gorce small town. It is the capital of Zagórzany – highland ethnic groups, which has created its own unique folklore, even today cultivated by the locals. A great lover of the culture and the land was known creator of the literary Władysław Orkan. 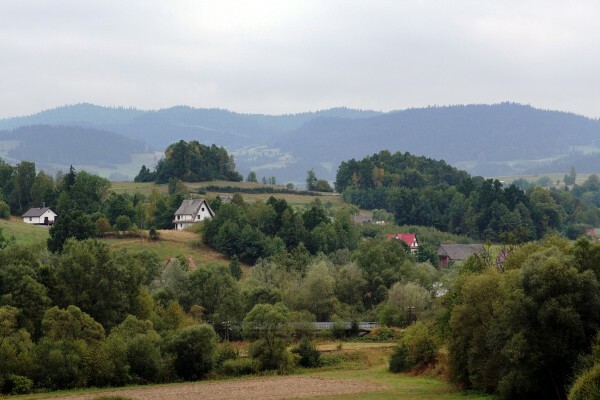 Surrounding mountains, the proximity of the Gorce National Park and the position in the valleys of the mountain rivers Raba and Mszanka make the city an ideal base in the area. You can go hiking, cycling, skiing and fishing. 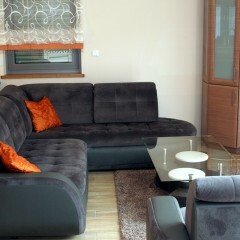 In addition, marked hiking trails and a well-developed catering and recreation are encouraged to spend in Mszana Dolna. 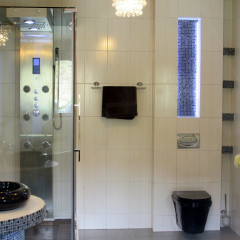 Rabka–Zdroj is known in Poland spa for adults and children, whose wealth resources are mineral waters, favorable climate and landscape and tourism. The village offers excellent conditions for spa treatments (free brine graduation towers), as well as beautiful mountain scenery and terrain capable of actively spending free time. 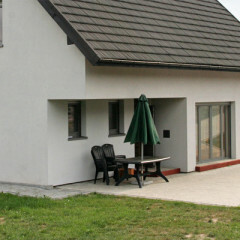 In Rabka–Zdroj you can spend time in the beautiful Spa Park. An additional advantage of the city is a rich cultural offer intended for both children and adolescents, and adults (Kino White, Puppet Theatre Rabcio Museum Orkana). 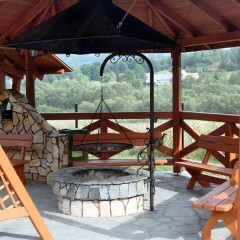 In Rabka–Zdroj, you can explore the world of colorful highland traditions and original craft traditions. The largest museum facility in Poland of the history of the railways. The museum has more than 90 various types of historic railway vehicles, including first and foremost the historic steam locomotives and wagons retro. On holiday weekends Skansen Rolling starts the drive train retro Chabówka to Kasina Wielka via Rabka Zaryte Station (3km) where you can take the train and take a wonderful journey through the history of Polish railways stations in the KasinaWielka. On-site and in the surrounding area offers good conditions for practicing various forms of active recreation and winter sports. At the station Polczakówka-Ski in Rabka Zaryte can use two lifts: T-bar lift and rope. 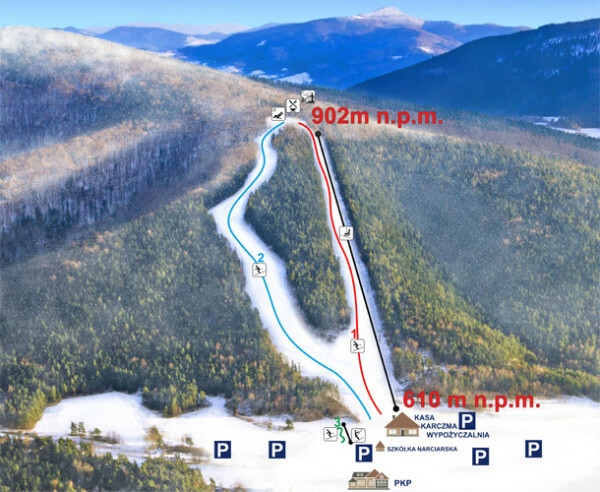 Ski lift supports the main slope, which in addition to recreational riding can organize training ski schools for intermediate and very advanced and competitions in various disciplines downhill. Winch is designed for children and beginners. – Paved parking for approx. 100 cars. – Ski school for children and adults and candidates for instructors PZN. 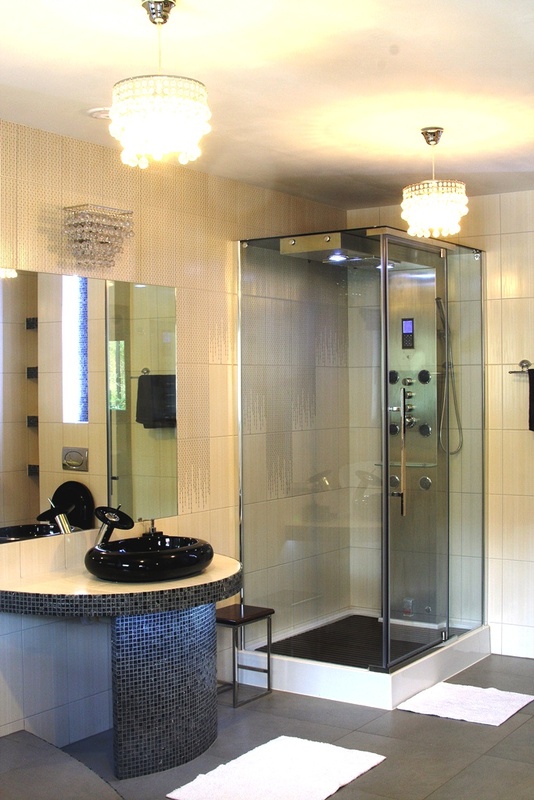 Rabka–Zdroj is known in Poland spa for adults and children, whose wealth resources are mineral waters, favorable climate and landscape and tourism. 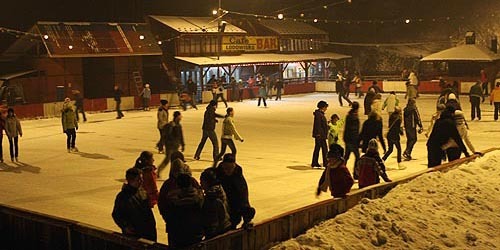 The village offers excellent conditions for winter fun like ice skating rink and a beautiful mountain scenery and terrain capable of actively spending free time. 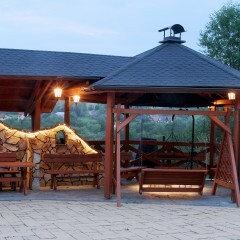 In Rabka–Zdroj you can spend time in the beautiful Spa Park. An additional advantage of the city is a rich cultural offer intended for both children and adolescents, and adults (Cinema, Puppet Theatre Rabcio, Museum Orkana). In Rabka–Zdroj, you can explore the world of colorful highland traditions and original craft traditions. The largest museum facility in Poland of the history of the railways. 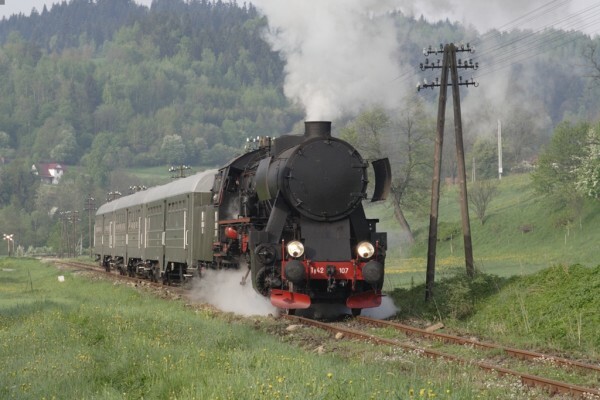 The museum has more than 90 various types of historic railway vehicles, including first and foremost the historic steam locomotives and wagons retro. Skansen has a free parking.